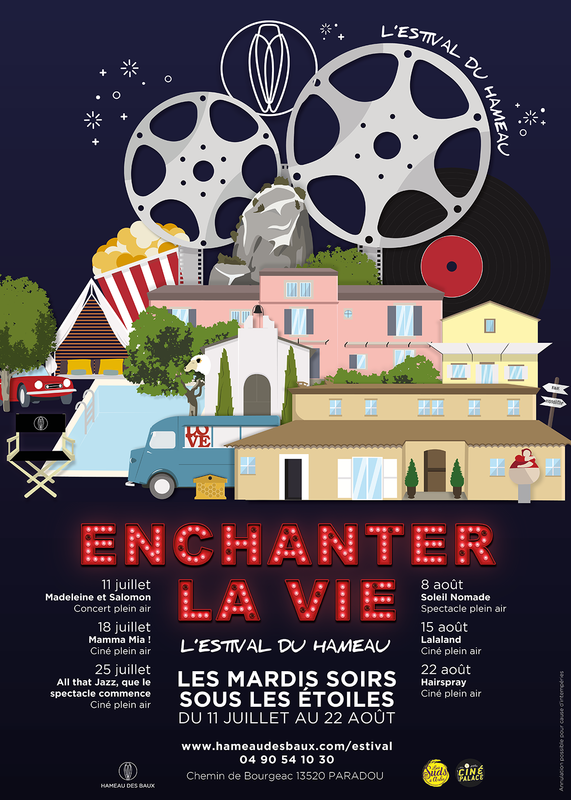 L'ESTIVAL DU HAMEAU IS BACK ! It’s back ! 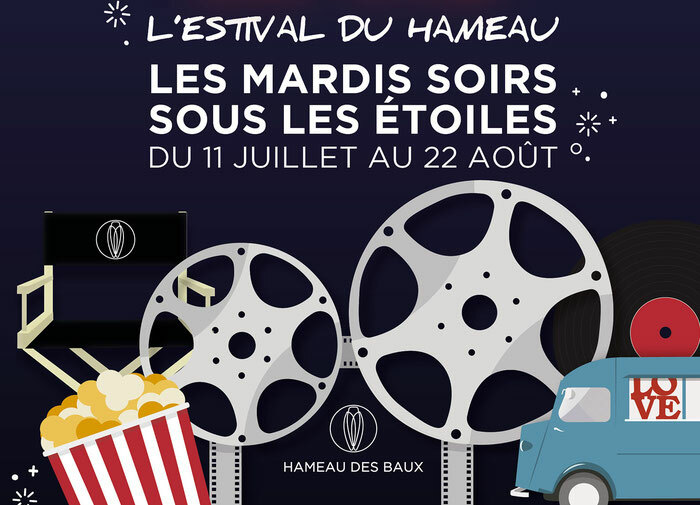 From July 11th to August 22nd 2017, enjoy a bit of culture every Tuesday, under the stars, with music or a movie. Cinema : a series of musicals with four US movies. Music : two concerts will invite you to journey. A musical summer ! Meet in the green theater of the Hameau des Baux for magical evenings under the stars. 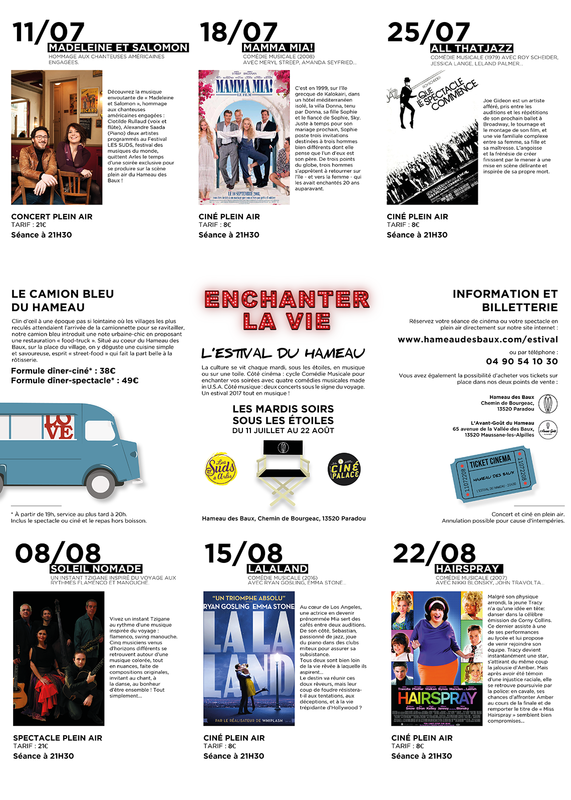 Enjoy our dinner-cinema and dinner-concert packages and discover the new map of the Camion Bleu du Hameau from 19:00.